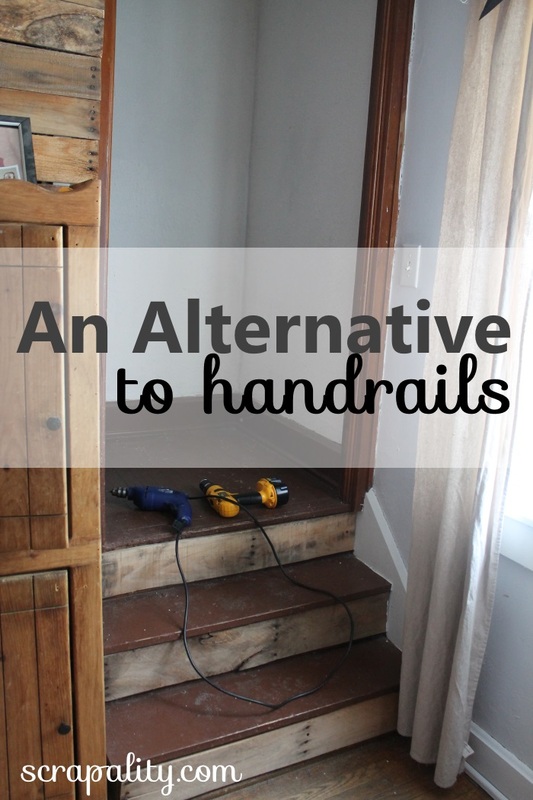 Now that my hubby is home I should share with you one quick and easy alternative to a few much needed handrails. The bottom three steps lack a handrail and having a window in the same area created a huge problem. I mean, who wants a handrail in front of a window. I’ve had this really cool idea for a handrailing system for the staircase, but I haven’t come across the items I need to make it happen. That will have to wait for now. I need something quick, cheap and nothing permanent. The only solution would be to add assist bars to the doorway. But, again, I didn’t want a bright shiny pull bar in the living room. It’s a living room not a bathroom. I searched Home Depot for an alternative to that bright and shiny assist bar. Garage handles are black, easily installed and don’t scream bathroom. I decided to hang them upside down to give more hand support. 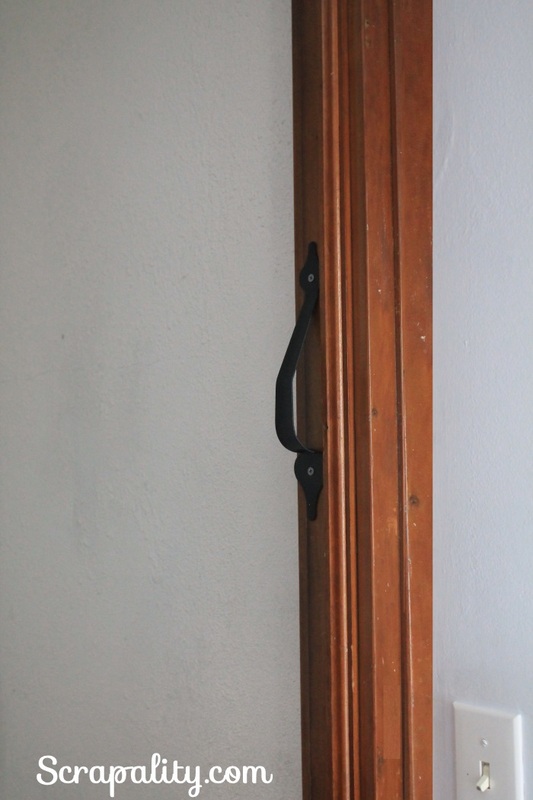 I hung one of the handles on each side, in a location my husband could easily grab a hold of when climbing the stairs or coming down the stairs. They’re black, cheap and fit right in. They’re not over powering and stick out from across the room. They work! The garage handles were just under $10 for the pair. Super cheap! When I find what I’m looking for, you’ll be the first to know. Thanks for stopping by and hope you follow along for my crazy house DIY projects. I’m sharing this project with one or all of these amazing linky parties. What a smart and cost effective (& much more attractive) idea for something so needed. It’s got to help your hubby feel more at ease with everything going on to be in such good capable hands! Good idea! Better to be safe than have a fall. Love this idea! Thank you so much for sharing on VMG’s Brag About It link party! I tlooks great and it’s amazing how you can make it look so good with so cheap hangs. Hmmm, never would have thought of that. Fun idea! Guess what happened to me that I thought never would? I got a brain injury and steps are really hard. Especially with gaps in my physical therapy. Like now. Where I cling both hands to the rail. And turn my body. And up I go. Step. Together. Step. Together. If I saw your handicap assist I would not be able to use your cheap, not ugly alternative. Just something to consider…there’s no rail on either side to steady oneself going up or down those awkward but needed steps. Why is a railing ugly when they are useful? But I’d have been never giving it a second thought either until I became…that embarrassing word ( handicapped). I’m sorry if I offended you, that wasn’t my intention. Being handicapped isn’t something to be embarrassed about. Not all DIY projects work for everyone and this might not work for you. 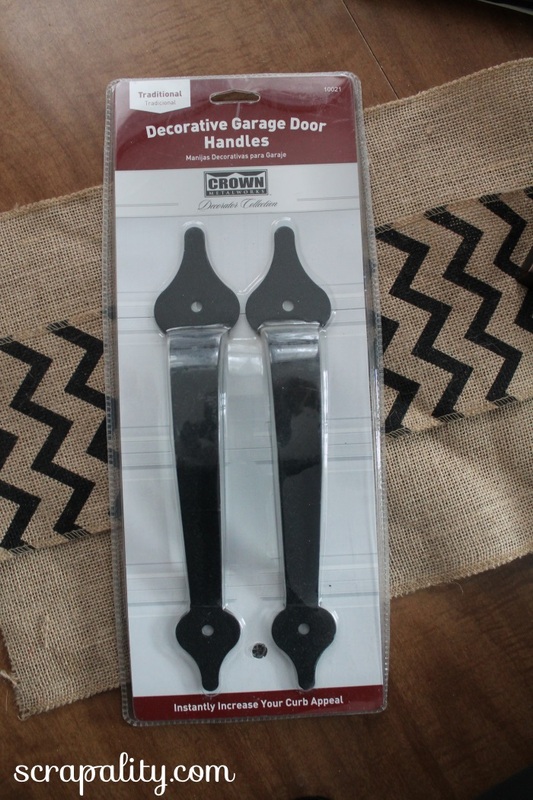 The handles work very well for my husband and someday he won’t need them. Thank you for commenting and I wish you the best. Andrea, this is really, really clever. I’d never thought of this. Thanks for the tip! Thank you so much for linking up this post to my “Thrifty & Vintage Finds” link party! This is certainly a thrifty and clever way to add handles. I’m always so impressed with all of your projects. Thank you so much for stopping in -please come again soon! I like the classic looking handles! What a clever idea! Thanks for sharing with SYC. 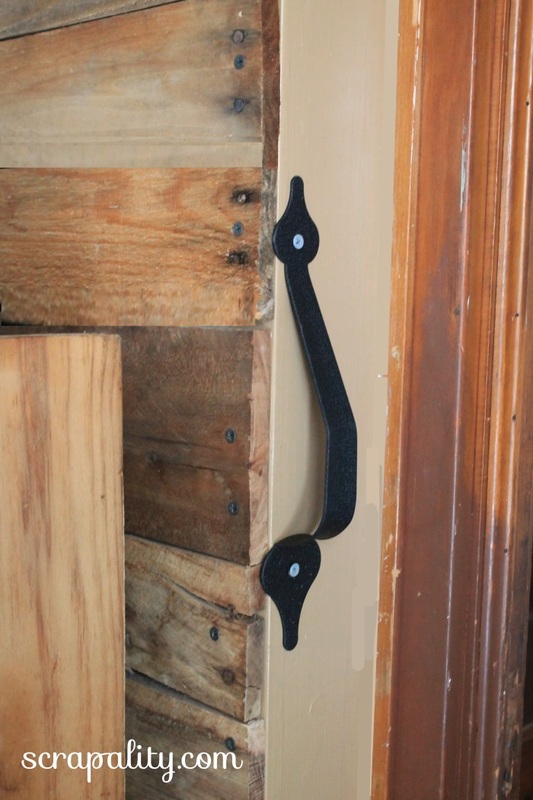 I really LOVE this idea of your’s, and you’ve actually come up with an answer to an almost identical problem we have in this 100+ yr old house! I had a brain anuerysm in 2014, and had surgery to take care of it. Came through with flying colors but there are some after affects that are here to stay. My thought processes will be fine one second then freeze up for a minute or two – then I’m back to fine. Have you ever been in the middle of climbing stairs and then “forget” what you are doing? Yep, yikes! So I’m in the habit now of really making sure I’m holding onto the handrail! But there is one small problem – the last 3-4 feet of stairs, there wasn’t an option to continue the handrail at the top. Our bedroom is upstairs, and the way the house is set up, the stairway to the bedroom was (in it’s day) called the servant’s stairs. Very narrow stairwell and the steps themselves are not very deep. It’s very hard to describe the stairwell and how it just stops at the top and there’s nothing to help you get that last couple of stairs up (or started going down) but your idea here is the perfect set-up! I’m so glad it helps. I wish you the best of luck and thanks for sharing your story.